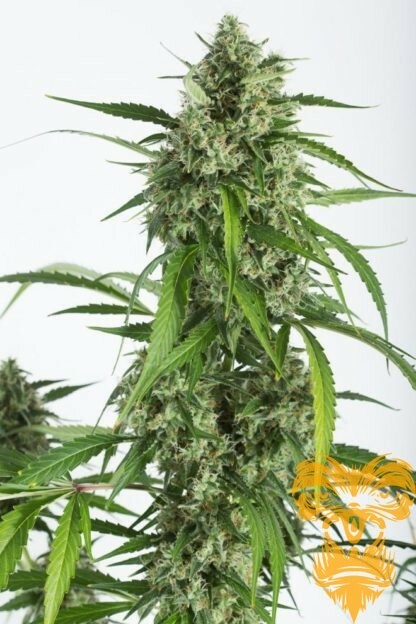 White Widow XXL Autoflowering cannabis seeds result from a hard-to-resist temptation. In fact, the breeders of Dinafem Seeds couldn’t help giving an extra twist to the strain that back in the ’90s became the queen of all Dutch coffee shops. This magnificent autoflowering hybrid, deriving from a White Widow Autoflowering and our White Widow elite clone, has the potential to deliver bountiful potency-oozing crops in a remarkably short time.